A small bunch of dill (soa or suva in Hindi), half of it chopped finely and the other half saved whole, for garnish. If you don't have dill or don't like it, use another herb of choice. I have used coriander leaves here. 1 lemon sliced or cut into small wedges. Mix all marinade ingredient in a bowl. 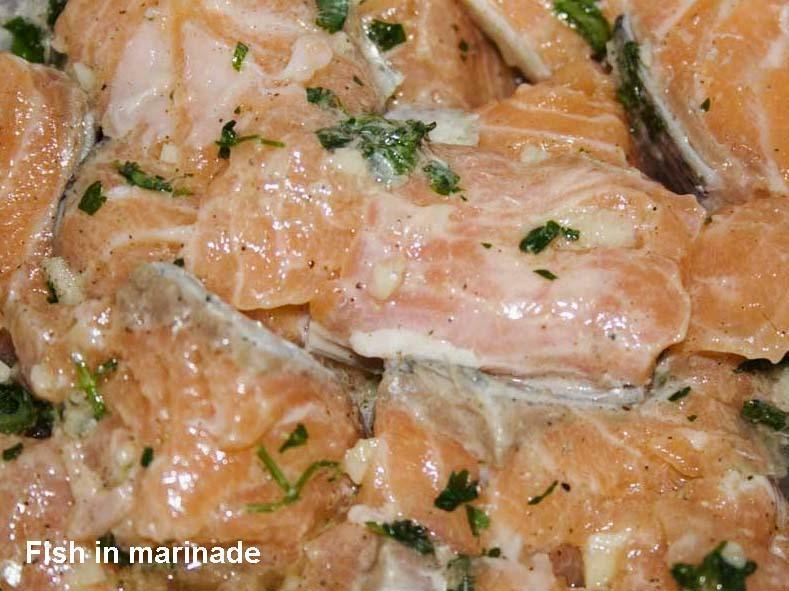 Add fish, coat well and leave in an airtight box in the fridge for a couple of hours or overnight. 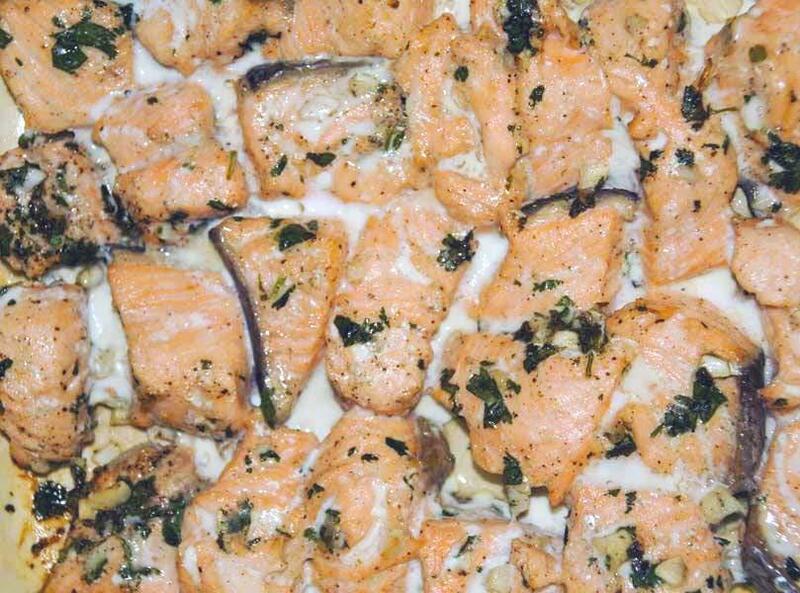 Place fish in an ovenproof, well greased dish and bake uncovered in a preheated oven, at 200 C or 400 F, for 10- 15 minutes. Fish should flake when touched gently with a knife. Make sure not to over cook it. Serve hot, garnished with sliced onions, a few sprigs of dill and slices of lemon. It can be served as a starter, with a bowl of green salad or as part of an Indian meal. Fish can be cooked in a heavy skillet or frying pan.